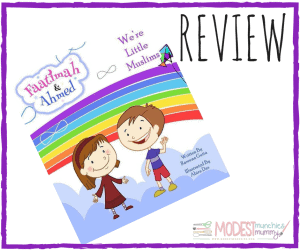 Faatimah & Ahmed: We’re Little Muslims is a story of a young Muslim boy’s first day of school where he learns about the beloved Prophet Muhammad (SAW) and shares the story with his little sister. The book begins with an introduction of the 2 characters and provides some background information on the two little Muslims and a few of their interests. The little blurb on spaghetti is both cute and endearing, this along side their introduction facilitates character development and makes the book relatable. The little girls emotion as her brother leaves and returns from school is heart-warming and though the book does not involve any conflict, the emotions create a sense of depth in the relationship between the siblings. Faatimah’s love for stories leads to the main portion of the book, which is the story of the birth of the Prophet Muhammad (SAW). The story provides an informative yet relatable introduction to the Prophet (SAW) and would be a good starting point for parents seeking to introduce kids to the life of the final messenger of Allah (SWT). The story maintains it’s fun and intrigue throughout the book as the children learn more, whether it be on their playroom floor or daydreaming on the back of a camel. The kids are taken on a virtual journey through the Arabian dessert which adds some excitement and also explores some terms and facts. The story ends with an emphasis on one of the most important aspects of our faith… the Sunnah of Prophet Muhammad (SAW) and encourages little Muslims to learn more about him and seek to be more like him (SAW). 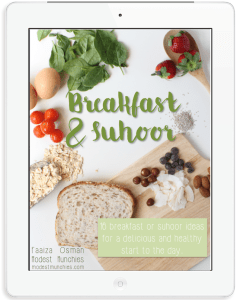 The format of a brother/sister duo going through their everyday lives and sharing some basic knowledge of the Prophet (SAW) is truly unique and presented in a format in which any child can relate to. Too much detail in illustrations can often distract a child from the content of the story, but the fun, yet simple and bright illustrations in the book make it appealing to little readers, maintaining their attention and drawing them into the story. The use of Arabic and common Muslim words and phrases is always good in children’s books and the Glossary at the end of the story is handy for those not familiar with some of the terms. While I had the privilege of receiving a draft copy of this book, I’m sure the finished copy will be the icing on the cake to this well presented publication. I have to admit the book does leave me wanting more. I want to know more about Faatimah and Ahmed, I want to know more about their time with each other, and more about the Prophet (SAW) through the stories they share, so I am super excited that there will be more Faatimah and Ahmed books to follow. Faatimah & Ahmed is a simple, well illustrated story that introduces little Muslims to the Prophet Muhammad (SAW) in a fun, relatable way, it cleverly encourages kids to learn about and emulate his actions (SAW) in their lives. 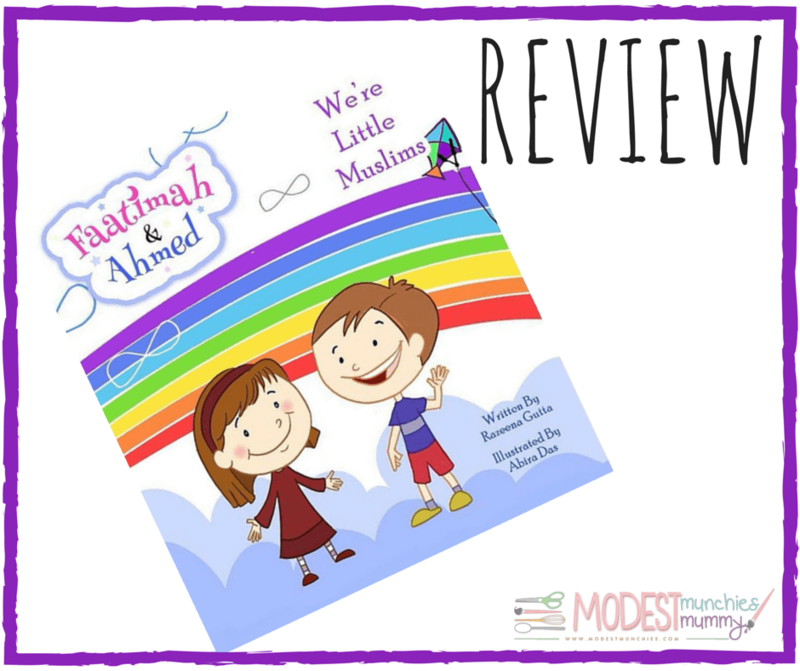 With its bright, eye catching pictures, delightful story and sweet characters Faatimah and Ahmed: We’re Little Muslims is a must have on your child’s Islamic bookshelf. Faatimah and Ahmed – We’re Little Muslims is the latest in Islamic children’s books. Alhamdulillah it is now available on most Amazon sites, Barnes and Noble and The Book Depository. 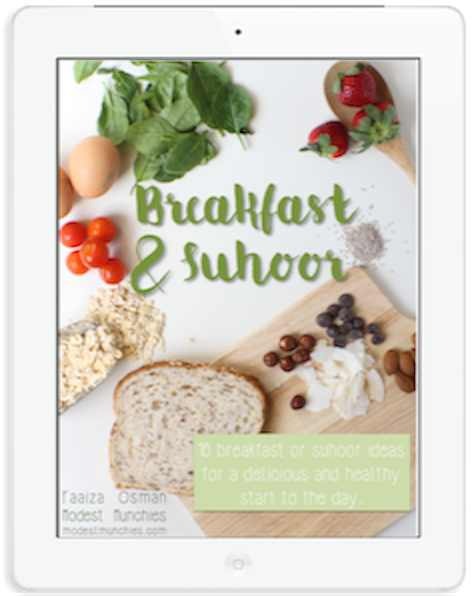 It will soon be available direct from the author at www.readlittlemuslims.com. Very interesting book specially that we are studying the prophet’s- peace and blessings be upon him – life ( seera) these days at my home. Thanks.